I love three things about this…1. That one bike has a basket! 2. Street Photography and 3. The helmet was still there even after hours of sitting on the handle without being locked down! 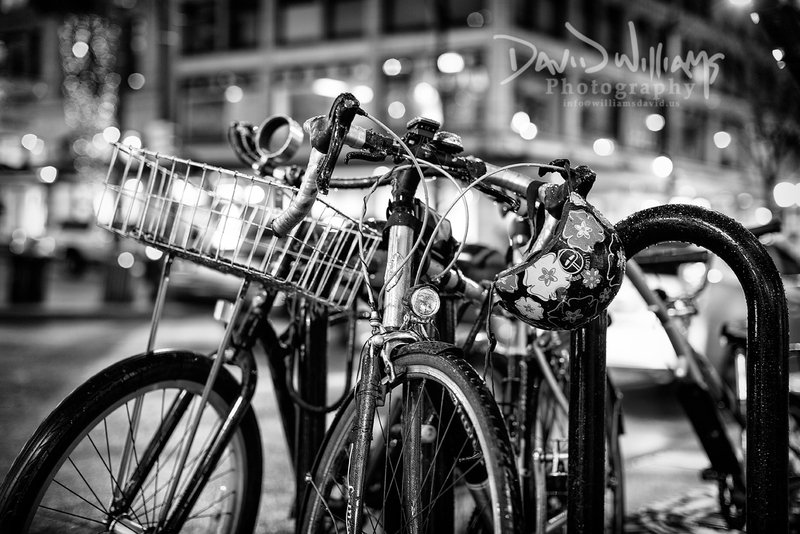 Okay, there’s more than three things, also really diggin the DoF and B&W conversion! I know I’ve been out of commission for awhile now, I do plan on posting more often as I have really missed it! Perfect B&W processing. I love the bits of bokeh in the background too. Nice! I love the light reflecting on the handlebars. Great catch and conversion!